When it comes to kitchen gadgets, you’ll find a lot of ridiculous ones, but then, there are also a number of useful devices that will definitely make your cooking sessions faster, easier and more enjoyable. 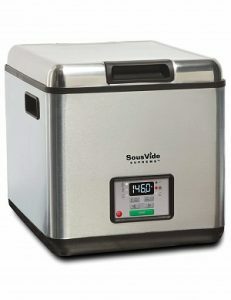 Before telling you about this first ever water oven, let me discuss what sous vide is. Well, sous-vide, a French term for “under vacuum,” is a method of cooking that involves placing food inside a pouch or glass jar and cooked in water baths for longer than normal cooking times. Through this method, meat is cooked evenly inside and out while retaining moisture and preserving the nutritional quality of the food. This water oven is designed to make sous vide cooking easier and more affordable and guarantees perfectly cooked steak, juicy tender meats, vibrant vegetables and more – all at the push of a single button. Just set it, then do your other chores. It’s very easy, time-saving and guaranteed to give your food a gourmet taste. 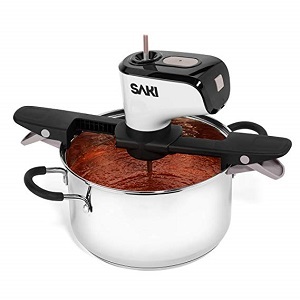 Here’s a kitchen gadget made to save you from the constant pot steering, because we all know that we have other things to do besides just standing in front of our kitchen stove, constantly turning the pot and waiting for our meals to get cooked. 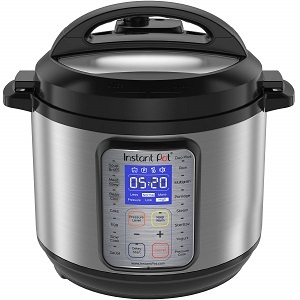 This automatic stirrer is custom engineered to deliver maximum stirring power and richly-smooth action to cook your soups, stews and other meals wonderfully without wasting so much time and effort. Another nifty gadget that will save you time standing in front of your stove is this boiler beeper that will notify you when the water starts to boil. 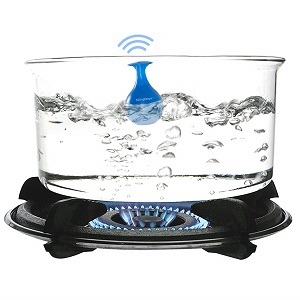 Just place the BoilingBeeper in your pot of water and turn up the heat. Now you can do your other chores and just wait for it to beep. Mornings are usually hectic for most of us, that’s why most of the time, we have no choice but to skip breakfast. And that’s unhealthy because we all know that breakfast is the most important meal of the day. 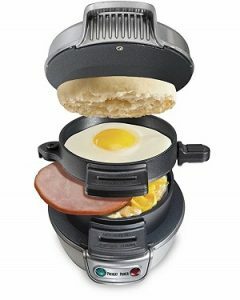 But if you have 5 minutes to spare to make an easy breakfast meal, this Breakfast Sandwich Maker will give you a a fresh breakfast sandwich you can grab and go. And by sandwich, I mean complete with the usual fixings: egg, cheese, precooked meat, or the ingredients of your choice, using just one tool. Last on my list an all-in-one cooking pot for all your cooking needs. 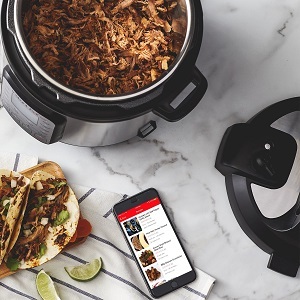 The latest Instant Pot DUO Plus can work as a pressure cooker, slow cooker, rice cooker, yogurt maker, steamer, sterilizer, and so much more. It’s also Alexa-enabled so you can adjust your settings and monitor your food remotely. It’s definitely a kitchen must-have that will save you time, effort and kitchen counter space. These are my top 5 recommendations to help you become more efficient in the kitchen. What’s your favorite? The fact that senior citizens are more susceptible to scams doesn’t really come as a surprise, but did you know that more and more Baby Boomers are being targeted by these fraudsters too? Well, that, and of course, the reality that most baby boomers have already established their “nest eggs” – a beautiful home, savings, investments and pension, which makes them a prime bait for scammers. To avoid falling prey to these scams, one must always be informed and aware of the various common schemes and tactics that these criminals do. 1. Home repair and Utility scams. These scammers can either offer you better deals that will cost you more in the long run (painter, plumber, roofing, etc.) or pretend as people from utility companies and try to steal from you. If someone comes up to your door and asks you to step outside to talk about a good offer or to see your utility bills, do not give in under any circumstances. Just politely refuse and close the door. When it comes to transacting deals for home repairs, always get multiple estimates, and remember, if a deal sounds too good to be true, then it’s most likely a fraud. 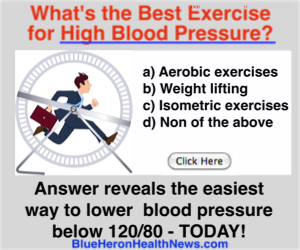 You will probably get a call from scammers offering 50% off on medicines or healthcare supplies, but with a catch – it will require a “membership fee” to avail the discount. It may or may not get delivered, and if they are, the drugs are just generic herbal replacements. Always check with your state’s program for low-income health insurance to know which ones are on the list of reputable discount programs. Pop-up ads, emails or calls saying you’ve won a sweepstakes, lottery or something similar like a cash prize or a free vacation may sound ridiculous for most of us, but many seniors and boomers actually fall for this scam. 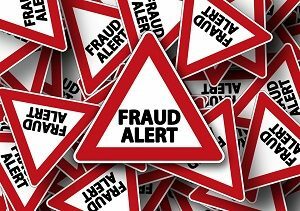 According to the North American Association of State and Provincial Lotteries, “Once a ticket is bought, no money is EVER required to claim a prize.” So if it requires you to pay a single cent or give bank account or credit card details, it is definitely a hoax. So here’s the situation, you receive a call pretending to be a family member (usually a grandchild), and tells you that he/she is in urgent need of money for an emergency. Before sending any amount, make sure to confirm with other family members first. Yup, these swindlers will take advantage of a boomer’s emotional needs in this type of scam wherein the scammer will gain the victim’s attraction and use that to get money from him/her for an “unexpected emergency.” After sending the amount, the victim unfortunately never hears from the “lover” anymore. Meet the person in real life first before getting into the next step. Never give private information or intimate photos because they can use these to blackmail you in the future. And of course, never ever give money or gifts before you even getting to know him/her in person. Whether you are taking care of an elder loved one or a baby boomer yourself, make sure to watch out for these schemes and keep an eye on people’s fishy motives to protect yourself, your savings, and your future. Ranked 5th place on International Living magazine’s Annual Global Retirement Index, Malaysia is one of the two Southeast Asian countries to make it on the list of the best places to retire in 2019. Investopedia also published this year’s “World’s Cheapest, Safest Retirement Countries,” and again, Malaysia is the only Asian country to be included in this listing. Some time ago, a face lift (Rhytidectomy) was the only procedure that men and women of age went through to achieve a tighter and younger looking appearance. Rhytidectomy is a surgical procedure that removes excess , sagging skin, smooth deep folds, and lift and tighten deep facial tissues. The future of smart home technology continues to grow leaps and bounds. In fact, it’s predicted to reach up to $54.45 billion in value by 2022. 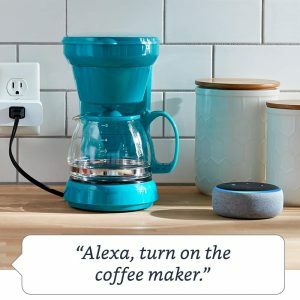 While the number of smart home device owners has already doubled since 2016, there are still quite many who remain unconvinced by its innovative capabilities.